Sound waves move through the outer ear and set up vibrations in the middle ear. The vibrations are then transmitted to the inner ear, and the wave motion in the inner ear is sensed by the auditory nerve hairs in the cochlea, which transmits neural messages to the brain. A damaged Cochlea after 'noise induced hearing loss - Too Much Noise! We offer education through formalised training, tailored to the individual in regard to noise exposure, its consequences, causes, and solutions, through our comprehensive educational group sessions. 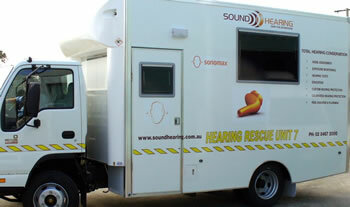 Arguably, the essential part of any 'Hearing Conservation Program' is ensuring the people wearing the hearing protection understand the fundamentals of noise and the risks associated with exposure to it. Noise Induced Hearing Loss is permanent - No cure exists! Even the most conscientious employer who offers a range of Hearing Protection options has an uphill battle if people don't understand why they need to wear it. We all know the long term dangers of cigarettes and exposure to asbestos. We are entering a time when the long term effects of exposure to noise will become paramount. We are completely mobile so We Can Come to You! !